These Wychwood fly reels are constructed from pressure-cast aluminium offering unrivalled weights significantly lighter than any cassette fly reel on the market. With full aluminium spools competitively priced at 14.99 in an array of colours these reels offer value beyond expectations! 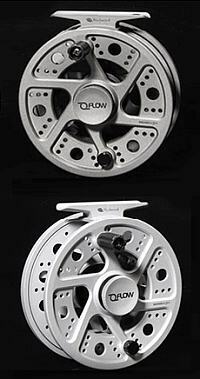 Reels are available in two sizes #5/6 and #7/8 with two colour options, Platinum or Titanium.